We would like to extend a warm welcome to you. 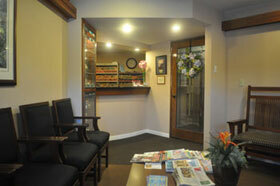 Our family dental practice is focused on providing you with the finest care in a gentle and caring environment. Here, your comfort comes first. The following information will help you with preparing for your first visit. Please let us know if you have any additional questions or concerns. We ask that you bring your completed new patient paperwork (below) and your dental insurance information to your first visit. If you prefer to complete the new patient paperwork in the office, please arrive 15 minutes early for your appointment. You may also want to write down any questions or concerns you have regarding your dental health and bring the list with you. This will help to ensure all your concerns are addressed. After a thorough exam, Dr. Ho will discuss his findings and all options for treatment (if treatment is needed). His goal is to help you come to an informed decision regarding your care. These forms require Adobe Acrobat Reader to view. If it is not installed on your computer, click here for a free download. We accept Delta Dental and will assist you in determining what portion of your treatment is covered by insurance. As a courtesy to our patients, we also process all other insurances. Please bring your insurance card or papers on the first visit. Our knowledgeable staff will work with you to ensure any portion of treatment not covered by insurance is affordable. 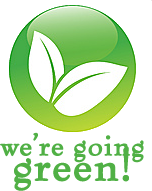 We accept cash, check, major credit cards (MasterCard, Visa, American Express) as well as outside payment plans available through Care Credit.